The A’PEX Aluminum Induction Box effectively shields the intake filter element from power robbing heat caused by turbocharged engines and extreme under the hood conditions. 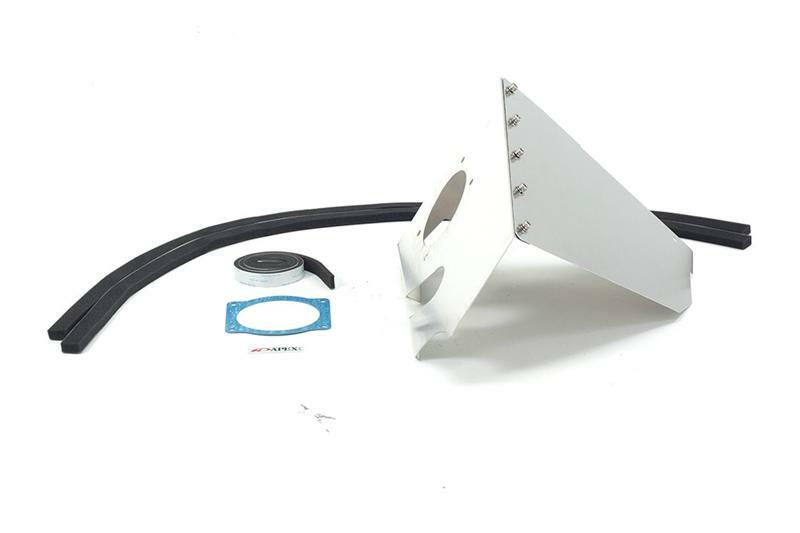 By fully enclosing the filter element and directing the intake air charge away from the heat soaked engine components, the A’PEX induction box helps prevent the ingestion of hot, preheated air from within the engine compartment. This reduction of intake air temperature promotes more efficient combustion, which in turn creates better performance and increased reliability. All components are manufactured by A’PEX to the highest standards to ensure precise fitment and maximum performance.